How to Link Mobile Number (SIM) With Aadhaar Card from Home via IVR System. Today we will discuss about how to link our mobile sim card with Aadhaar through IVR method. Before March 31, 2018, all mobile SIM holders have to verify their SIM card number with Aadhaar. You will also get this type of message. If we do not link Aadhaar, then you cannot use that SIM card further. 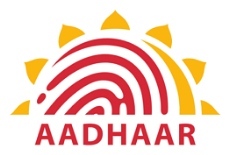 DOT has asked all telecom operators to create Aadhaar link from IVRS method. Before you go ahead, let me tell you that you have two things to be. The first thing is your Aadhaar card and the other thing your Aadhaar card registered mobile number. If there is no mobile number register from your Aadhaar card, then you will not be able to take advantage of this facility. As UIDAI sends you OTP to your Aadhaar registered mobile number. 1. Dial 14546 From Your Mobile number (SIM card) which needs to be verified. 2. Now select language. By replying form keypad. 3. After that you have to enter your 12 digit Aadhaar number. 4. Now the OTP will come on your registered mobile number with aadhaar number. 5. Immediately after getting the OTP, you will receive an SMS confirming. With this method, you can verify any company's SIM card such as Idea, Vodafone, Telenor, JIO, airtel etc.